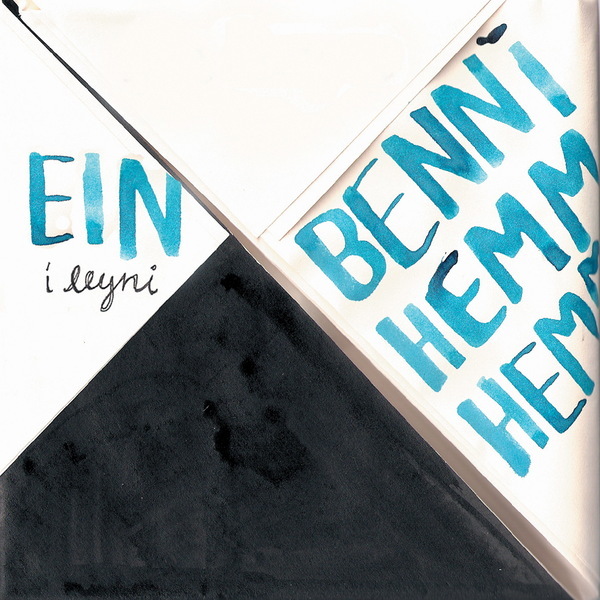 Icelanders Benni Hemm Hemm were introduced to us by Morr Music, who released the band's debut album in Europe and the USA last year. Since then the band have gone on to tour the world, collaborate with fellow Scando-pop luminary Jens Lekman and even score a mention on Popworld (bizarre, but true). This brand new mini album is an Iceland-only affair, released by the Smákökurnar label in a highly limited edition. Thankfully we were able to wrestle a few copies off a gang of unsuspecting puffins, so now the wider world can enjoy its arctic charms. Benni Hemm Hemm don't conform to the standard issue Icelandic musical policy of weather-beaten grandeur, instead they manage to come across as warm, personable and even intimate. These songs sound wonderfully organic, held together by cosy acoustic guitar plucks, group vocal harmonies and chirruping brass sections. 'Fridthjofur Og Ingibjorg' is a perfect distillation of these elements, sounding like Kings Of Convenience backed up by the Salvation Army on horns. There's something rather Glenn Campbell about 'Riotmand' and 'Jag Tyckte Hon Sa Lonnlov', possibly due in part to Jens Lekman's splendid turn on the latter song, which is in fact a reworking of the Swedish crooner's wonderful 'Maple Leaves' single, here sung in Swedish and augmented by the Benni Hemm Hemm brass section playing through the orchestral part from the original. From here on, Ein I Leyni takes a more downtempo turn, calling upon the beautiful chamber strings of 'Steinn Um Morgun', only to return to a breezier sound on the whistled melodies of 'Sol A Heyhola' and the all-too brief glockenspiel phrases of closer 'El Paso'. A wonderful, wintry release - and one whose packaging and design seems to have been invested with the same attention to detail as the songs themselves. HIGHLY RECOMMENDED.